One of the great time-saving elements of Freightview is that we remember things like your shipping addresses and commodities so that you never have to enter them into our system more than once. We realized, however, that it can be a pain to sift through a bunch of commodities while you're booking (especially if some of those products were entered incorrectly!). We recently rolled out the ability to remove items from your product catalog, so that you won't have to scroll through junk every time you book. In order to remove commodities from your list, you'll need to be the owner of your Freightview account or have been granted "full access" permission levels. Click the gear button in the top right corner next to the name of your account and a dropdown menu will appear. Select "Product catalog." 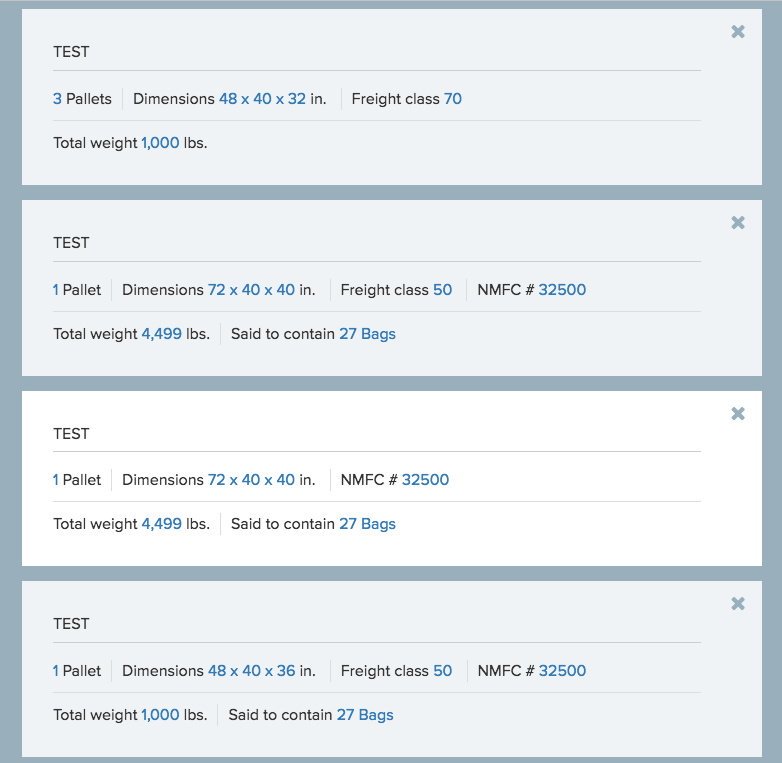 This menu displays every commodity that you've shipped with Freightview. To remove a commodity, just click the "X" button in the top right corner of the item. We hope this helps you keep your product catalog organized and accurate! We'll be working to make it easier to select specific items from your product catalog when quoting and booking over the next few months. Give it a try and let us know what you think by emailing feedback@freightview.com.